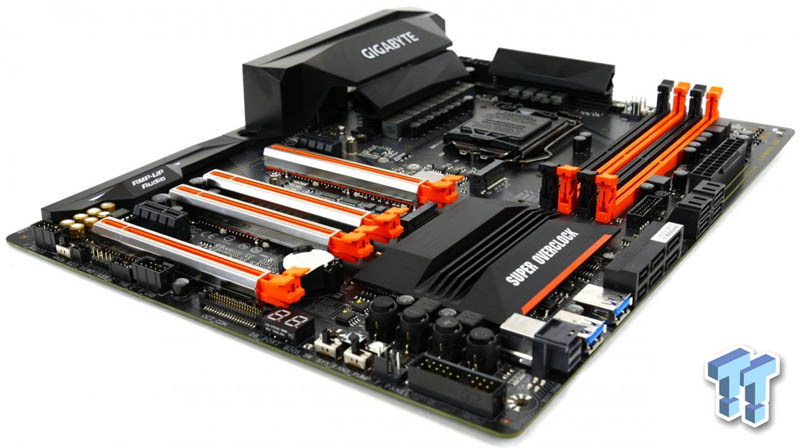 The crew at TweakTown says that, if you are shopping for a new motherboard, it's hard to go wrong with the GIGABYTE Z270X-GAMING SOC. It seems that GIGABYTE has changed their mind about the Z270X-Gaming SOC, and the motherboard is indeed available right now at major retailers. We received our Z270X-Gaming SOC with the new OC Touch Panel, an external panel with voltage read points and a ton of buttons. The motherboard is loaded with OC features and has a unique orange and black color theme.